Having travelled to Oman recently, I came back to Qatar deeply impressed and humbled. Not only have I never before been more welcomed by the people, but I realized quite a few significant differences to the society I experience in Qatar every day. My feeling was a mixture of unprecedented hospitality and generosity by the locals, a warm ambiance of helpfulness in every situation that I encountered and a lasting curiosity for my own cultural background. I asked myself, why? The first explanation that came to my mind was the way the population constitutes itself. 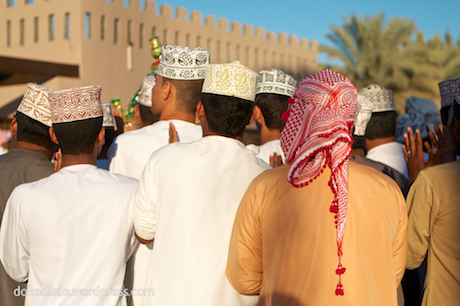 The majority of the people living in Oman is in fact of Omani nationality. 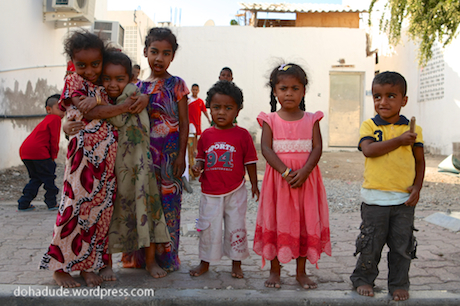 Out of the roughly 3 million people living in Oman, a relatively low number of only 550.000 is of foreign nationality. This is in contrast to the other gulf countries (except Saudi Arabia), where an expatriate workforce outnumbers the locals by far. Being a minority in their own country imposes different challenges on the cultural identity and socialization of a people. Omanis do not face that challenge, also thanks to extensive government initiatives to increase the percentage of Omanis in various economical sectors. This has somehow stabilized the number of immigrants to the current level. The best way to observe one of the omanization policies is taking a taxi in Muscat. The drivers are almost without exception Omanis with Balochi origin. To explain the openness of the people in Oman (including the immigrants that I met) with just their number does not really satisfy me. I asked myself, whether it might be the bedouin culture with its deeply rooted values of hospitality and loyalty that made Omani people so famous for their friendliness and ethical values. 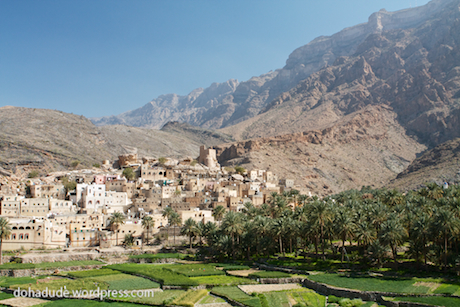 Yet, Oman shares its bedouin history with the rest of the Arabian Peninsula, but what makes Oman different from its neighbors? Oman has prospered on ocean trade in the indian ocean, but so have the previous tribes in the contemporary states of Qatar, Bahrain, Kuwait and the UAE. Any explanation has to look further. It is thus very surprising to see the unconditional friendship the Omani people offered to many people I know, who do not follow Islam. First, they were humbled, but at the same time they felt comfortable expressing their pride of being Omani and being associated with an extraordinary set of values. First they named the fact, that people in Oman do not mind physical, hard work. Even if the working conditions are strenuous, in the desert or in hot weather in general. Several People told me, they like the hard-working history of the germans and feel close to that. Another reason, I heard often, was the recent history with the current ruler Sultan Qaboos, who invested heavily in education as soon as he overthrew his father, about 40 years ago. In fact, today most children enjoy a solid base education, even if they live in remote villages, which is in part thanks to Qaboos’ accompanying investments into the infrastructure. Most of the children I met, spoke very fluent english, even at the age of 7. This is quite remarkable, when you realize, that Oman’s tourism industry is way behind most of the other arab countries. — On a side note I have to mention that Oman has probably the biggest potential for further touristic development when it comes to its contrasting and diverse nature and combined with the inviting people. Yet the most common explanation by the people I asked is the Omani’s strong connection to their respective cultural heritage, which has unique facets in the different regions. Be it music, crafts, clothes, food or trades. This is a stark contrast to the other oil rich gulf countries, where a lot of people see big parts of their cultural heritage slowly disappearing into folkloric reenactment or expensive self entertainment (like falcon hunting or camel racing). In the northern Omani city of Sur, for example, you can find many workshops that specialized on the making and artistically carving of wooden doors. They are famous all around the country. 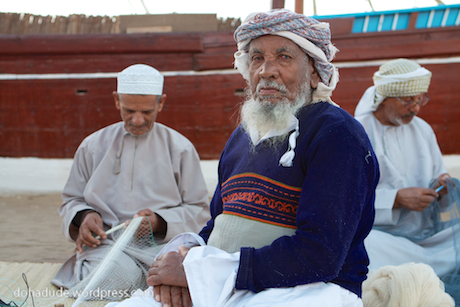 A popular explanation for why these old traditions could survive until today is the fact that most Omanis do not live in the cities, but still live like nomads, tending to their camels, goats or sheep in the search of fertile feeding grounds. It is this connection with the history and heritage that I could feel in everything the people do, in daily life. I am grateful to have been able to experience some parts of this culture by the people who invited me and my travel partners. Being back in Qatar I wonder how the people can ever be inspired to develop a similar attitude towards foreigners and their cultural heritage. I have to say that all arabs in general and arabs from a bedouin culture share the same values of hospitality and generosity. When being invited by locals in Qatar, you will probably get a similar impression about their hospitality and generosity. For many visitors it is just a little harder to meet Qataris in a purely private environment. 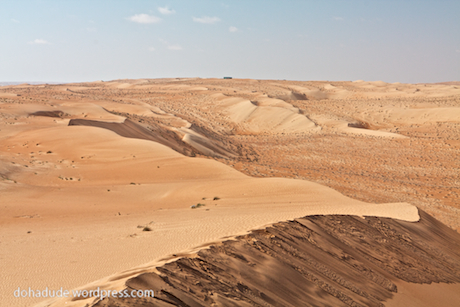 The best chances of meeting locals in Qatar is probably going to the remote areas of the desert. It is there that you resemble the nostalgic and lone explorer who came to a new land (maybe by camel) who will be invited into a camp just out of the bedouin imperative of hospitality. You will possibly then feel the shared culture of Qatar, its neighbors and Oman. I encourage anyone to look beyond modern clichés and stereotypes and discover their own relation with this part of the world. It is worth the effort! Sometimes it is the locals who break the ice, sometimes it has to be you. Actually, the majority of Omanis are not Bedouin in origin at all, excepting small pockets from Salalah near the Rub Al KHali, Al Wusta, Al Sharqiyah, and verging towards UAE regions. Hospitality is quite common in mountain villages nonetheless, and lowland farms, and coastal trading towns. I still wonder about this. Maybe it is because the pride of most Omanis themselves is still based on humility and humbleness. Only a very wealthy and educated man can afford at all times to be humble, as the saying goes, while a poorer man must boast his skills to make a living;) . Sometimes a manner of showing off among some of the Omani royalty is painting their own houses without hiring workers. I find this amusing:).